The National Institute of Standards and Technology has chosen 19 small businesses to receive grants worth a combined $3.3 million to research and develop a wide range of technology platforms. 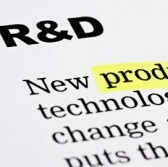 NIST chose the companies based on their submitted R&D proposals that seek to address advanced manufacturing, cybersecurity, biomanufacturing, cyber-physical, technology transfer and advanced sensing for manufacturing challenges, the Commerce Department said Tuesday. DOC noted grantees are from 12 U.S. states and will receive Phase 1 or Phase 2 funds as part of NIST’s Small Business Innovation Research program. “These awards demonstrate the importance of measurement science to launching innovative products and solving pressing technical challenges,” said Willie May, director of NIST and commerce undersecretary for standards and technology. “Continually pushing the technology envelope helps to secure our country’s position in the global economy,” May added.